Mondoweiss published the floowing Press Release from Manchester Palestine Action. 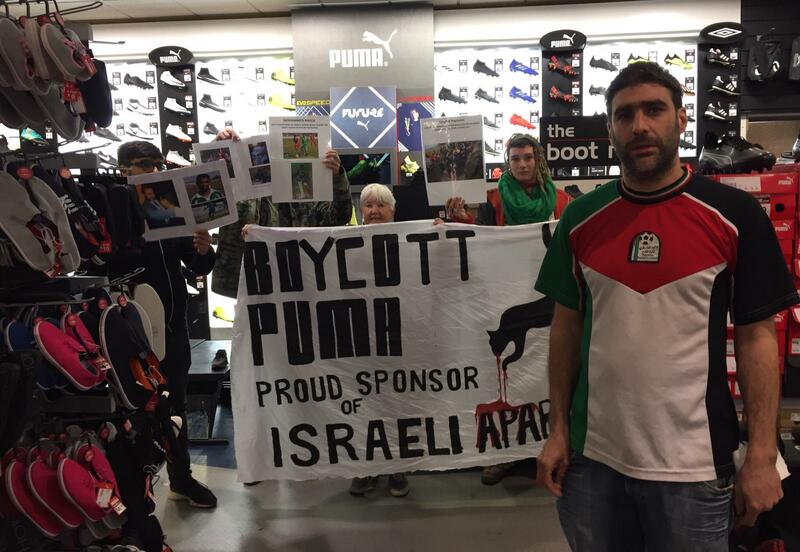 Manchester Palestine Action took action Sunday at the Puma department of Sports Direct to call for a global boycott of Puma for sponsoring the Israeli Football Association (IFA). Global sportswear manufacturer Puma is involved in violations of international law and human rights. Puma is the main sponsor of the IFA, which includes teams in Israel’s illegal settlements on occupied Palestinian land.